[WayBack] cov.fefe.de – The Isoblog. Brilliant move. Der Spiegel never had a chance, and even Der Postillion is in awe. (Context). 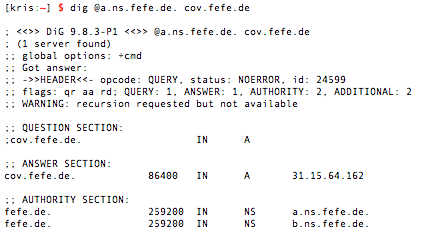 Yes, cov.fefe.de is the same content as blog.fefe.de. [WayBack] Urban Dictionary: Covfefe (n.) When you want to say “coverage” but your hands are too small to hit all the letters on your keyboard. One more of the “Missed Schedule” series, this time it was originally scheduled for October 1st, (2013 that is). Delphi XE2 and up introduced the FrameworkType and FormType elements in the .dproj files to distinguish between VCL and different flavours of FireMonkey. Actually, Delphi XE1 already had the value None for FrameworkType, so some cross-platform changes trickled into the Delphi builds early. Though the IDE writes these values to the .dproj files, you cannot change their values from within the Delphi IDE, not even through the Open Tools API. Changes in Implementation of VCL Actions – RAD Studio. Framework-Independent Action Features Are Implemented in RTL – RAD Studio. Support for Managing Actions in IDE – RAD Studio. System.Actions.CreateAction – RAD Studio API Documentation. System.Actions.EnumRegisteredActionsProc – RAD Studio API Documentation. Defines whether an action is created for the VCL or FireMonkey (FMX) framework. The default of this parameter is VCL (for compatibility with legacy applications). This parameter is used to avoid situations when VCL actions are used in FireMonkey applications and inversely; this can lead to a serious increase in an application’s size and to execution errors, for example, calling of Windows API under MacOS. If you still have a coded base in the .NET Framework 1.1 / Visual Studio 2003, then you should note that after 20131008, the extended support has ended. Though the introduction of both feels like yesterday to lots of us, they have been supported for more than 10 years. An era has ended. Time to move on to newer versions has passed long ago. The next important date is about 2.5 years from now: 2016-04-12, when the support for the .NET Framework 2.0 and Visual Studio 2005 ends. For some remote monitoring, I needed to get information on UNC paths. Message=Object must be a root directory ("C:\") or a drive letter ("C"). Same for WMI: that only works when the UNC path has already been mapped to a drive letter.